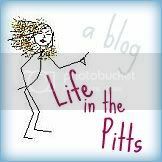 Life in the Pitts: Have you ever felt like you were witnessing a train wreck? But simultaneously, you ARE the train wreck? This was kind of like that.